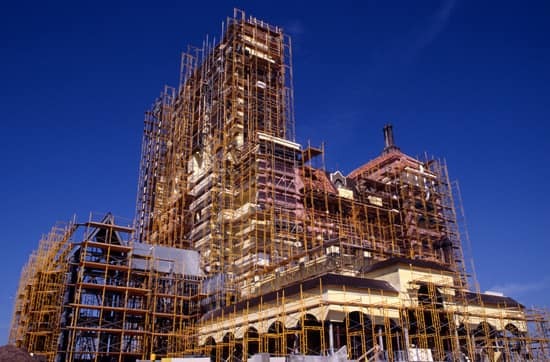 When The Twilight Zone Tower of Terror started welcoming guests at Disney’s Hollywood Studios back in July 1994, dark and stormy nights became the norm around the Hollywood Tower Hotel. And all these years later, guests still get a scream out of their daily visits. 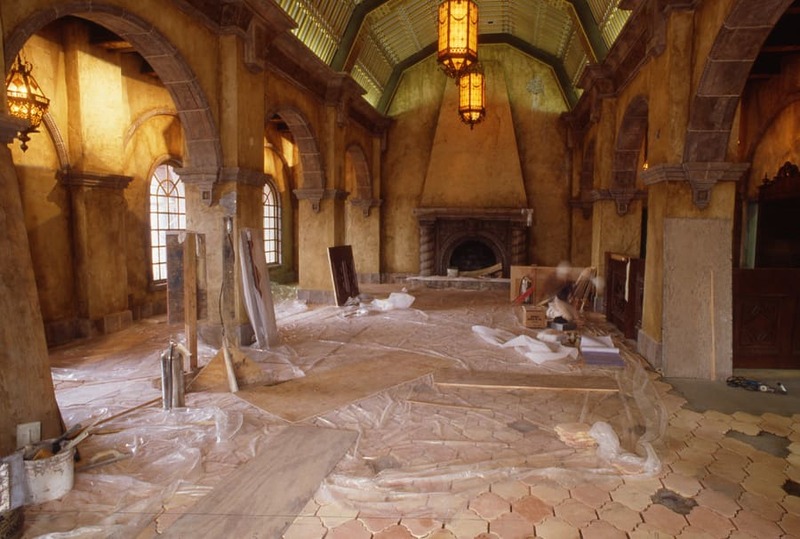 Here’s a look at the lobby under construction in May 1994. 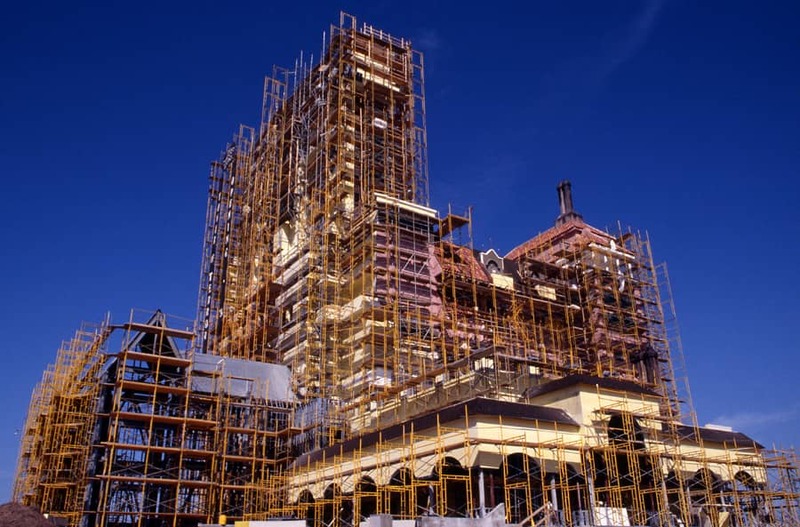 While four Disney Parks (Disney’s Hollywood Studios, Disney California Adventure park, Walt Disney Studios Park, and Tokyo DisneySea) have their own versions of The Twilight Zone Tower of Terror, the attraction at Disney’s Hollywood Studios is the original. 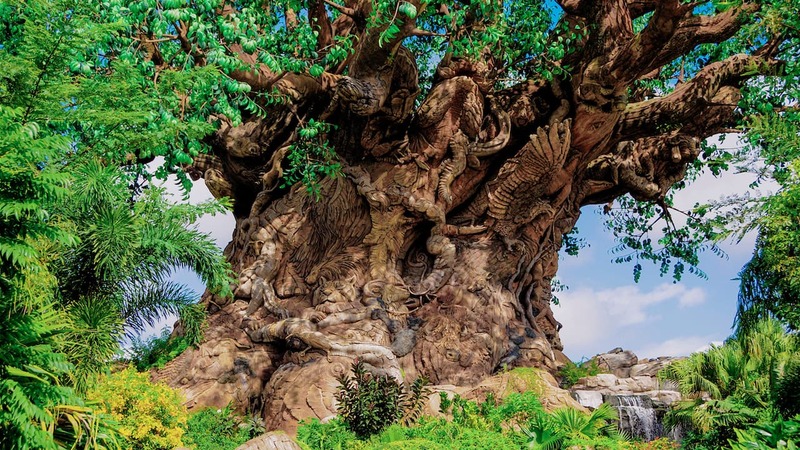 This striking landmark at Walt Disney World Resort was constructed with 1,500 tons of steel, 145,800 cubic feet of concrete, and 27,000 roof tiles, and it stands 199 feet tall. Still to this day inside The Twilight Zone Tower of Terror, guests can’t wait to enter an episode that is somewhat unique and calls for a different kind of introduction. I love this ride! From the moment you begin walking up that winding sidewalk and begin hearing the 40’s style music, I am no longer in Florida, but in 1940’s Hollywood, getting ready to check in to the Hollywood Tower Hotel. The music, the ambiance, the cobwebs and lobby, with its abandoned guests’ belongings, make you feel like you have stepped into the past. The bell hops that work at the Hotel are eager to greet you in their monotone voices with their somber assurance that you will enjoy your stay. Then the trip through the boiler room, so detailed and again so authentic with the sounds of steam coming through the pipes and the dim lighting, and when you arrive at your elevator, the elevator operators are so into their characters when they assign you to your seats. I would love to be one of the elevator operators–Please take your seats, and hopefully, we will see you on the ‘other side’ ha! ha! The ride itself is so “uplifting”, guaranteed you will immediately feel the ups and downs of this ride! I loved one time watching my camera floating in the air on one of the “downs”. This ride is by far the best-themed ride plus thrills too. I can’t wait to ride that elevator again! To Ronald, do not be afraid of the drop of the TOT-while it is a freefall, it’s not as scary as you think it is-the fear comes from not knowing when you’re going to drop and what it’s going to do, but the drop itself is smooth and easy, and it’s a hydraulic ride with absolutely no jerking or lurching! It’s like riding on air! You simply cannot miss out on all the cool special effects on the different floors of the hotel and the weirdness of seeing your elevator move horizontally among other things just because you are scared of falling. Since you’re enclosed in the elevator, strapped in, with people around you, and knowing you’re on a ride, tell yourself it’s safe because it is! Stop scaring yourself into missing out on the fun! Tower of Terror is my favorite Disney thrill ride (close second is Expedition Everest), but I am partial to the Tokyo Tower of Terror, both because it has a single rider line (with a 2-hour+ wait time, that was almost essential for my short visit) and because of the NYC theme. Rode it 13 times back-to-back-to-back one day and still couldn’t get enough! This is my favorite ride!!! I first visited WDW in 1997, and this was the very first attraction we went on. It was the end of June/beginning of July and so hot that day, but we waited. My cousins and I laugh about that experience to this day! We had no idea what to expect, and I just remember one of them saying, “I feel air..” Then the front of the elevator and building opened and we dropped! I have visited WDW ten times since 2006, and Hollywood Studios is my favorite park. As soon as I get there I go straight to the Tower! LOVE the hidden Mickey in the missing tiles in the top photo! The Tower of Terror is an awesome ride! Being weightless makes me smile and laugh! Does the HTH house anything other than the Tower of Terror ride? The building looks big enough that I thought it might. Ronald, the drop varies every time. Your last drop could be a short one. You should give it another try. It’s GREAT! 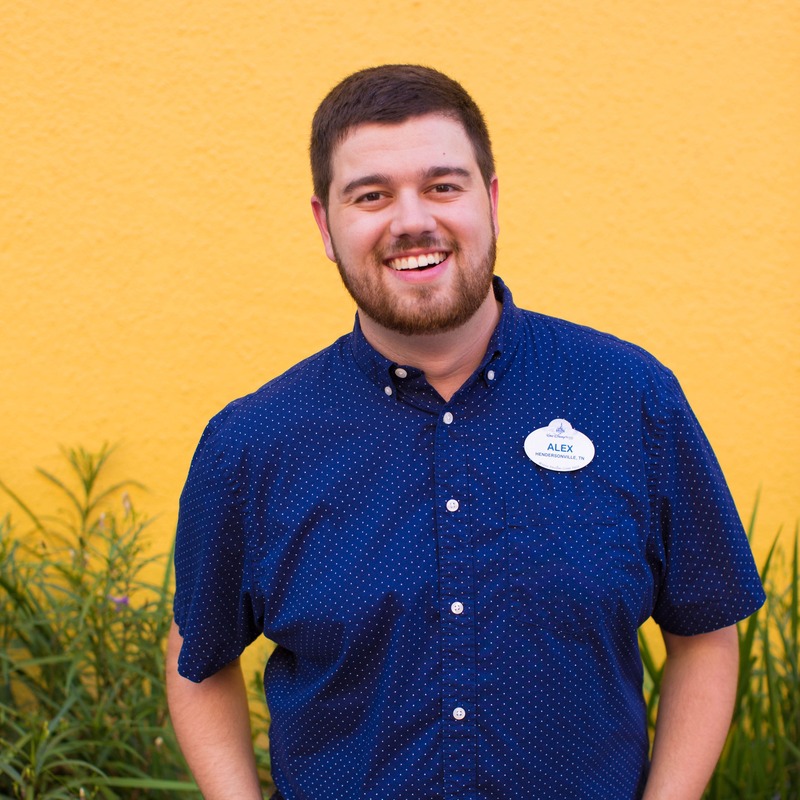 My husband and I use to go 3-4 times a year and the year Tower of Terror opened we were mislead on the ride – even though we were surprised and slightly scared, we got back on the line and on the ride again! It is now one of our favorites! We still go every year. Nate, thanks for the pictures. I also like to see when attractions are being built. I Love this ride, it is awesome. I was there in June and had one of the best rides. Also would love to stay in a room there. i love this ride.me and husband and the kids go on this every year.the one year there wasnt a line and we went on it about 20 times in a row. @Melanie the ride is amazing at night. The lights of the park are great and look so nice from up above, even if it’s a glimpse before a huge fall. I agree. It’s always fun to experience the Tower of Terror at night! Ronald, don’t ever go on it then! There’s far more than one drop! The first time I ever went on it (shortly after it opened), there were only two drops. Now, the computer generates a different sequence every time. I think the last time I went on it, there were 7 or 8 drops. It got to the point where I was like, “ENOUGH!!!”. I have to say that I also am terrified of heights but I force myself on this ride. However, I have learned that I don’t think I can handle waiting in line without a Fast Pass, and my stomach is getting knots right now just thinking about the ride. But it is a great one and the atmosphere is fantastic, and I do force myself to do it once or twice a trip. Happy Birthday HTH! Thanks for making millions of people scream with fear and joy! Love this ride and the terror we put our grandkids through while waiting in line to ride it the first time! Mwahahaha. Love when the doors open and you are riding at night! So awesome! The feeling you get is thrilling and bone chilling! Every visit at least 2 x on the ride.. love and sreams. I LOVE the tower. We were at WDW back in April – the first time in 20 years. Of ALL of the rides, Tower of Terror is Disney’s best job of putting everything together – story, atmosphere, ride, staff. Take a look around in the line – you have complete immersion in the experience. You are IN the Hollywood Tower Hotel. Look at the detail – the crumbling fountains and worn light fixtures. Inside, more incredible detail, from the luggage and furnishings to the front desk. The staff is always in character and suitably creepy. The pre-show, the basement, all perfect. The ride – what can I say? The programming is great. Of course I don’t want to spoil it for you, but re-rides are a must. I went back one night after my wife and daughter went back to our room and rode over and over again. Perfection. As one of the biggest fans of Tower, it’s always great to see construction pics I’ve never seen. Thanks Nate! My favourite Disney attraction. Every detail about this attraction is done to perfection. I especially enjoy the cast members who work here and are always in role! Great at night as well! Another awesome post. Keep these coming! This is one of my favorite attractions! I still have yet to ride it at night. I wish they had a less intense version of the ride like Mission Space. I want to go on ToT so bad but know that I can’t handle the drop at the end. If Mission Space can have a Green Team experience, why can’t ToT? I’m sure I am not the first person to suggest this, but wouldn’t it be great if there was an actual room in the hotel that guests could spend the night in, somewhat like Cinderella Castle? Such a great ride. I have a fear of heights, yet I still force myself onto this ride every time I go to Hollywood Studios because the fun easily outweighs the fear. So awesome that you’re willing to face your fears for the fun of Tower of Terror. Love this! My all time favorite Disney attraction!